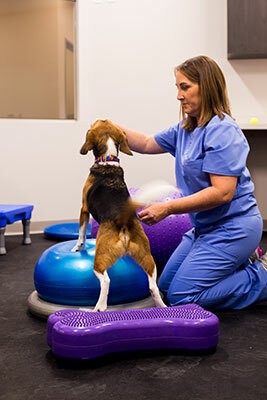 OUR MISSION is to provide a full range of specialized supplemental care, provided by qualified practitioners, that coordinates with the pet's ongoing primary care veterinarian enriching quality of life and performance for the pet and expanding the community of care available to the pet owner. Our clinic is owned and operated by a LICENSED VETERINARIAN. That means a fundamental base of education and experience in caring for pets. It also means an ongoing commitment to continuing education, research, and training, as well as active membership in the local community of veterinary providers. We provide services that add value. That means that we stay on top of the latest treatment techniques and methods. It means we're serious about our craft and committed to the expansion of options available to pets. But it also means case by case commitment to tangible, measurable results. We will not compete for a pet's general veterinary care dollars. Primary care and specialist relationships are critical to the owner and the pet. Care is not threatened, but enhanced, by communication with the referring veterinarian.